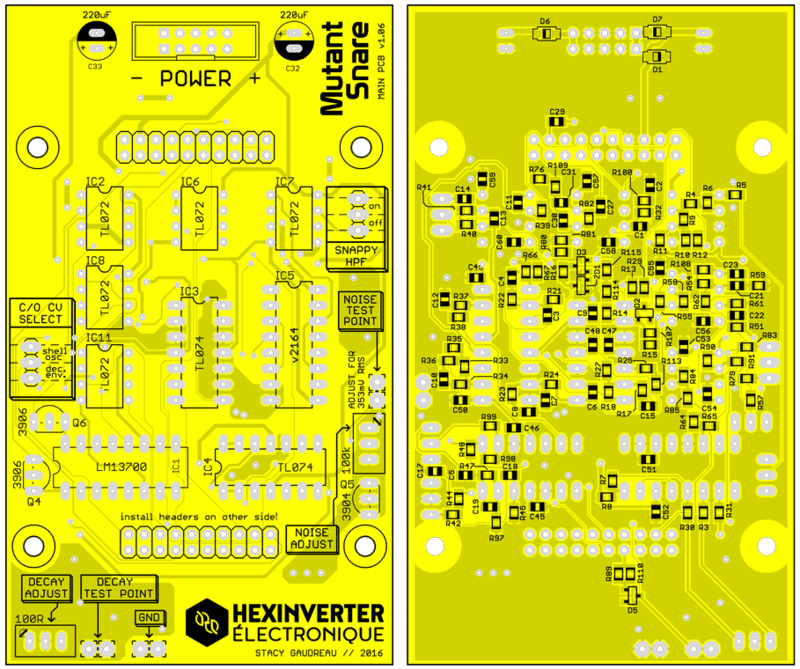 While we no longer develop eurorack DIY ('do it yourself') projects, you can find all of the information you might need to complete your Hexinverter DIY that might be hiding in your project backlog here! Scroll down to find the DIY project which you are looking for information about. 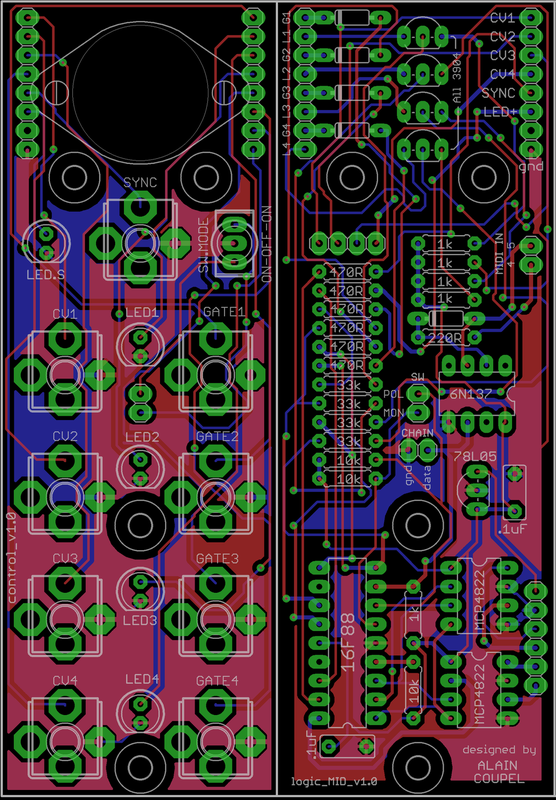 The vcNOIZ DIY project was available as a full kit which includes the PCBs with the SMD components pre-soldered and the 6HP eurorack panel. 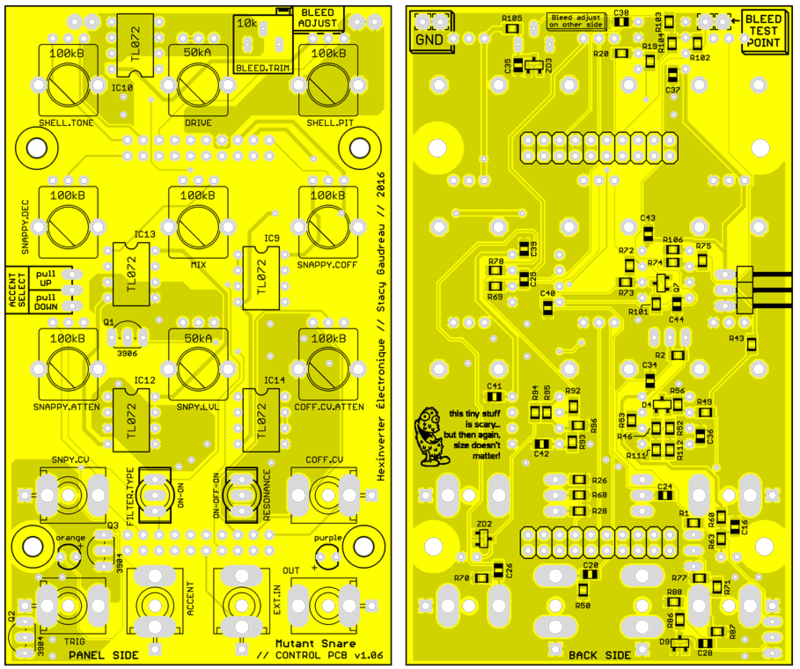 The Hot Glue was once available as a DIY product, in PCB+panel format, as well as full eurorack kits. Here's the DIY project information for building it. 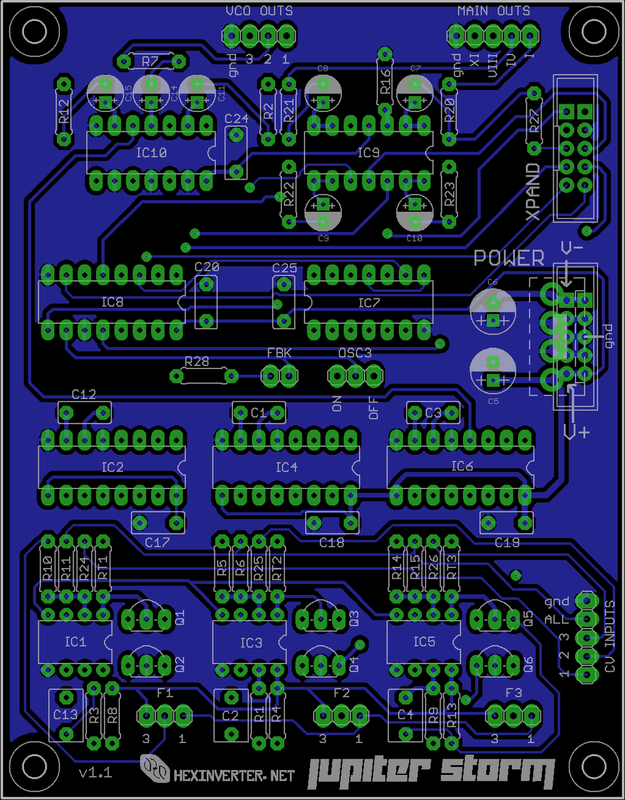 The Mutant Snare was available as a PCB/panel and full kit project. The Mutant Bassdrum DIY project was available as a partial kit which includes the PCB set, 13HP eurorack panel, and rare parts (3 vactrols and the long pin headers needed to complete the build). 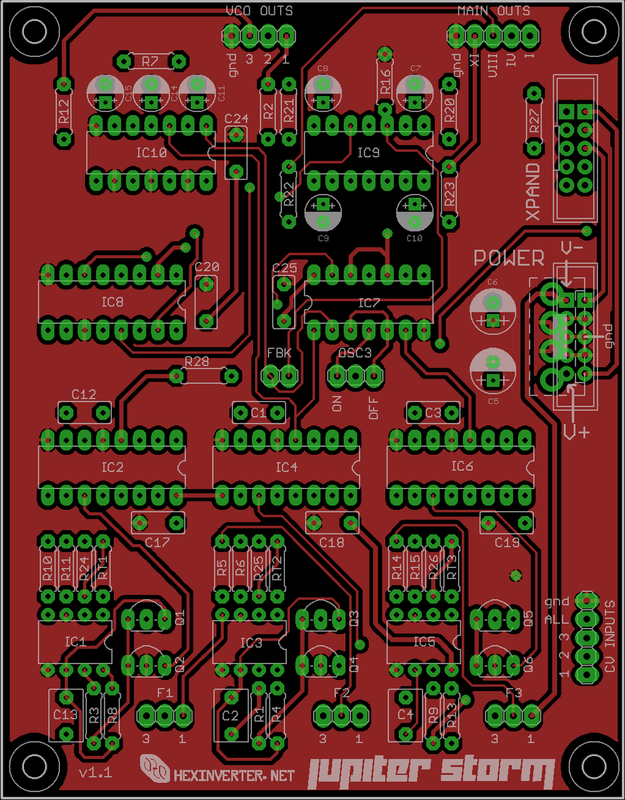 The Mutant Hihats DIY project was available as a partial kit which includes the PCB set, 13HP eurorack panel, and rare parts (3 vactrols and the long pin headers needed to complete the build). 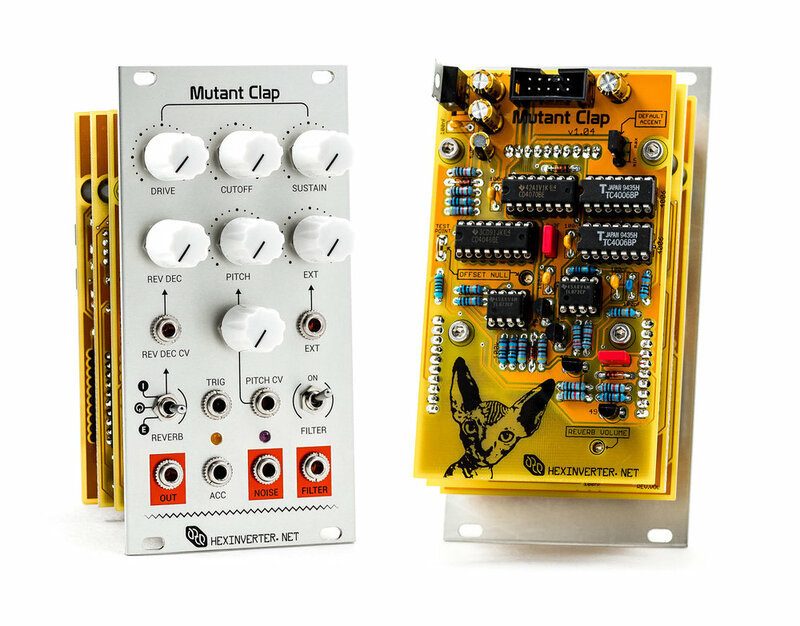 The Mutant Clap DIY project was available as a partial kit which includes the PCB set, 13HP eurorack panel, and rare parts (2 CD4006 and the long pin headers needed to complete the build). Orbitals was a simple to build 42HP, 55mm deep (DIY) eurorack analogue step-sequencer that offers a lot of useful features in a very playable and affordable sequencing package. 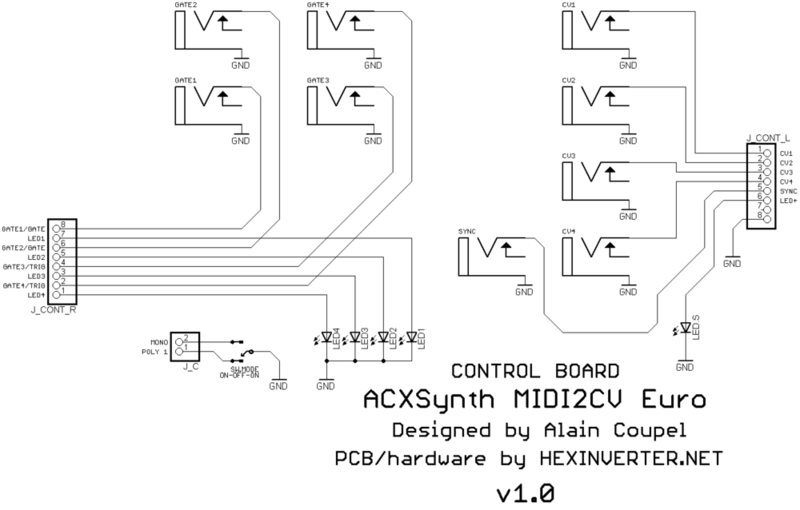 The ACXsynth MIDI2CV project was available as a DIY kit exclusively. 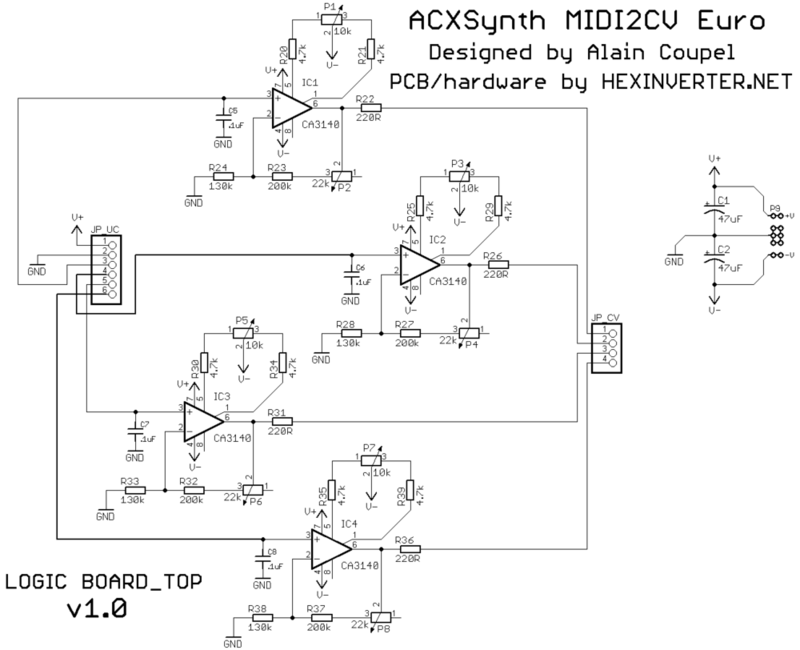 Thanks to Alain Coupel for granting us permission to use his fantastic circuit ideas here! A huge, heartfelt thanks goes out to Dmitry of Modularsynth.ru for his work on the V5 firmware updates. If you like his work, you can donate to him at his link below. Also, you can find the firmware files for his version for download there. 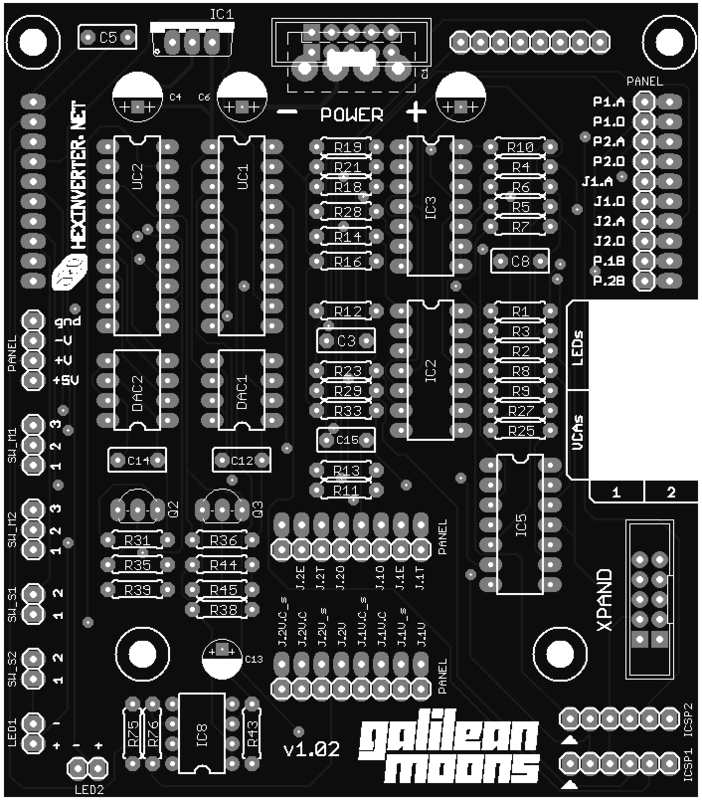 The Galilean Moons DIY project was available as a PCB + panel set, with microcontrollers programmed for you. You will need to source the other parts using the Bill of Materials listed below. 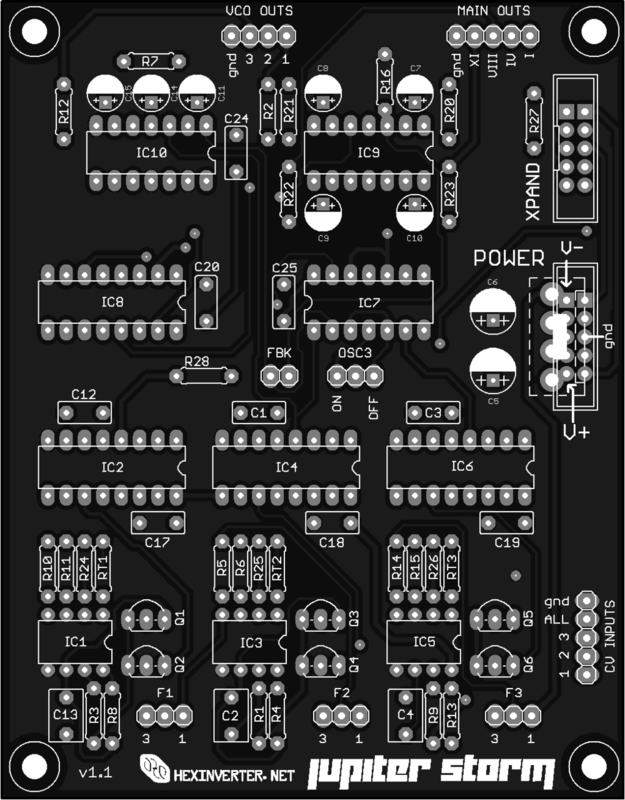 The Jupiter Storm DIY project was available as a PCB + panel set. 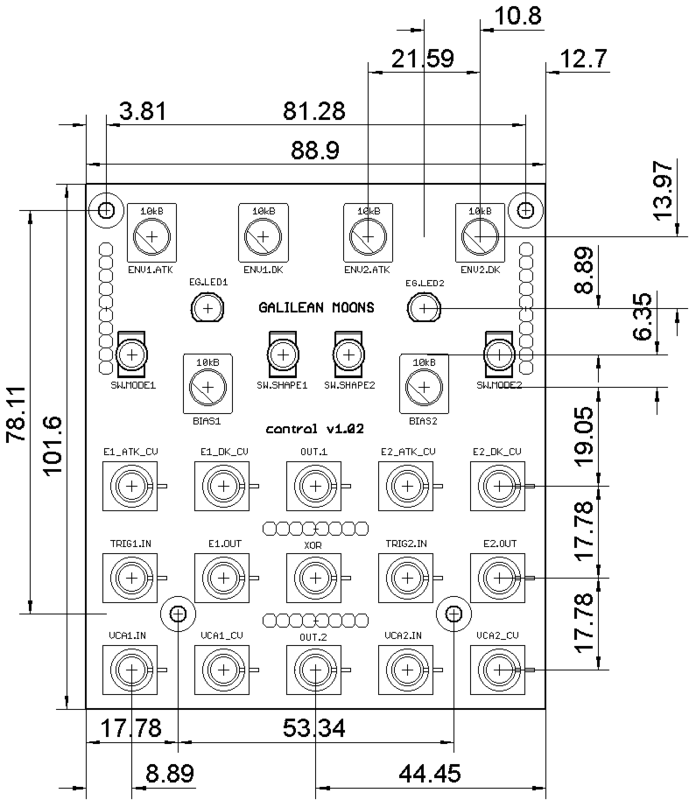 It is, however, an advanced project compared to some others, and you will need to make your own panel bracket and have a fairly deep case to accommodate the large circuit board.